Konyaite: Mineral information, data and localities. After the locality near Cakmak, Great Konya Basin, Konya Province, Central Anatolia Region, Turkey. 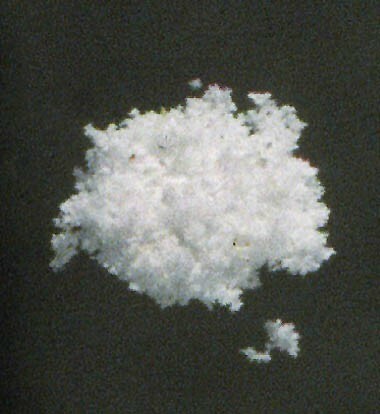 A water-soluble mineral that occurs as a component of salt efflorescences on saline soils, formed between 30°C and 50°C by evaporation of ground and surface waters. Related to the Picromerite Group. 7.CC.20 Lonecreekite (NH4)Fe3+(SO4)2 · 12H2O Iso. 7.CC.45 Löweite Na12Mg7(SO4)13 · 15H2O Trig. 7.CC.55 Mereiterite K2Fe(SO4)2 · 4H2O Mon. 7.CC.70 Leightonite K2Ca2Cu(SO4)4 · 2H2O Tric. 7.CC.85 Wattevilleite Na2Ca(SO4)2 · 4H2O (?) Orth. 25.3.4 Pentahydrite MgSO4 · 5H2O Tric. 25.3.7 Caminite Mg7(SO4)5(OH)4 · H2O Tet. 25.3.11 Löweite Na12Mg7(SO4)13 · 15H2O Trig. 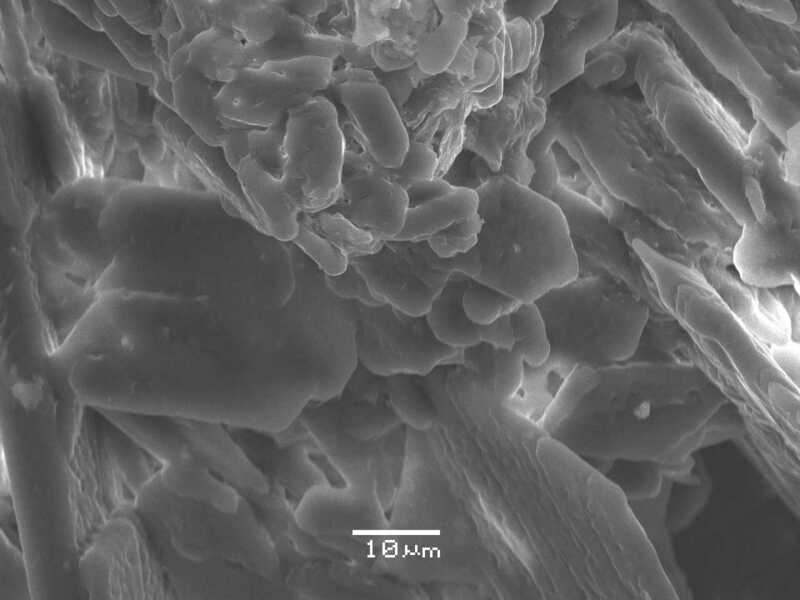 25.3.12 Uklonskovite NaMg(SO4)F · 2H2O Mon. Very easily soluble in water. Unstable - alters to blödite in a relatively short period of time. van Doesburg, J.D.J., L. Vergouwen, and L. van der Plas (1982): Konyaite, Na2Mg(SO4)2•5H2O, a new mineral from the Great Konya Basin, Turkey. American Mineralogist 67, 1035-1038. American Mineralogist (1989): 74: 1382. Dokoupilová, P., Sracek, O. & Losos, Z. (2007) Geochemical behaviour and mineralogical transformations during spontaneous combustion of a coal waste pile in Oslavany, Czech Republic, Mineralogical Magazine, 71, 443-460. Leduc, E.M.S., Peterson, R.C., Wang, R. (2009): The crystal structure and hydrogen bonding of synthetic konyaite, Na2Mg(SO4)2•5H2O. American Mineralogist, 94, 1005-1011. Mills, S. J., Wilson, S. A., Dipple, G. M. & Raudsepp, M. (2010) The decomposition of konyaite: Importance in CO2 in mine tailings. Mineralogical Magazine, 74(5), 903–917. Mills, S. J., Wilson, S. A., Dipple, G. M. & Raudsepp, M. (2010) The decomposition of konyaite: importance in CO₂ fixation in mine tailings. Mineralogical Magazine Vol.74(5) pp.903–917. Kohut, C. K., & Dudas, M. J. (1993). Evaporite mineralogy and trace-element content of salt-affected soils in Alberta. Canadian journal of soil science, 73(4), 399-409. Naze-Nancy Masalehdani, M., Mees, F., Dubois, M., Coquinot, Y., Potdevin, J.-L., Fialin, M. & Blanc-Valleron, M.-M. (2009): Condensate minerals from a burning coal-waste heap in Avion, Northern France. Can. Mineral. 47, 573-591. Kruszewski, Ł. (2013). Supergene sulphate minerals from the burning coal mining dumps in the Upper Silesian Coal Basin, South Poland. International Journal of Coal Geology, 105, 91-109. Arkhipov, A. L., Ivanova, M. O., & Tishin, P. A. (2015). Zonality and Mineral Association of Modern Evaporates in the South-Minusinsk Basin by the Example of Taloe Lake and Ak-Kol Lake (Khakassia Republic). International Multidisciplinary Scientific GeoConference: SGEM: Surveying Geology & mining Ecology Management, 1, 537. Vizcayno, C., Garcia-Gonzalez, M. T., Gutierrez, M., & Rodriguez, R. (1995). Mineralogical, chemical and morphological features of salt accumulations in the Flumen-Monegros district, NE Spain. Geoderma, 68(3), 193-210. Onac, B.P., Fornós, J.J., Merino, A., Ginés, J., Diehl, J. (2014): Linking mineral deposits to speleogenetic processes in Cova des Pas de Vallgornera (Mallorca, Spain). International Journal of Speleology, 43, 2, 143-157. Adams, P., & Lynch, D. (2014). A mineralogical inventory of geothermal features southeast of the Salton Sea, Imperial County, California. Trough to trough: The Colorado River and the Salton Sea (Reynolds, R, 39-43. Zielinski, R. A., Otton, J. K., & Johnson, C. A. (2001). Sources of salinity near a coal mine spoil pile, north-central Colorado. Journal of environmental quality, 30(4), 1237-1248.